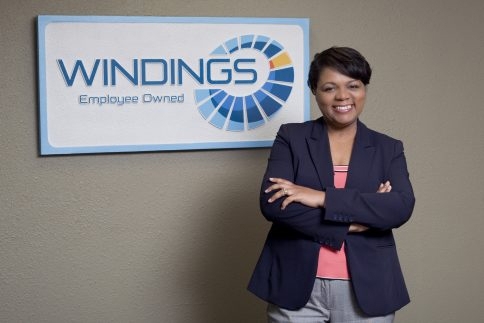 Windings names new president and CEO - Windings Inc.
Braimbridge-Cox will become the 4th president for the 51-year-old organization and the first woman to lead the company since its founding. Braimbridge-Cox joined the New Ulm-based custom manufacturing company in 2015 as Chief Financial Officer and brings over 20 years of operational and financial management experience in various specialty industries, including operations across the US, Canada, and the Caribbean. In her new role, she now has primary responsibility for growth and strategic development. Over her career, Braimbridge-Cox has worked to continuously improve internal processes to support maximum efficiencies. She led critical improvements by bringing technology to the forefront of crucial executive discussions. Her vision for the future of Windings is aligned with the board’s strategic priorities to expand the organization and strengthen its position as a thought leader and becoming the Customer’s first choice. Braimbridge-Cox is pleased to lead Windings and is committed to helping the team enrich their customer’s experience and make a significant impact on fellow employee owners and the business. She is a Fellow Chartered Certified Accountant (FCCA), an international professional accounting designation granted by the UK. She also holds a Master of Business Administration from Oxford Brookes University, Oxford England and a BA in Accounting and Finance. Windings is an engineering and manufacturing company focused on aiding customers in the development and production of custom designed electric motors for specialty and niche applications. For over 50 years Windings has manufactured stators, rotors and complete assemblies along with providing technical expertise and service to their customers. Windings serves customers on a global landscape across a diverse market base including aerospace, outer space, oil and gas, motorsport automotive and other high tech industries.